There is growing recognition that standard forms of stormwater management (detention basins, etc.) 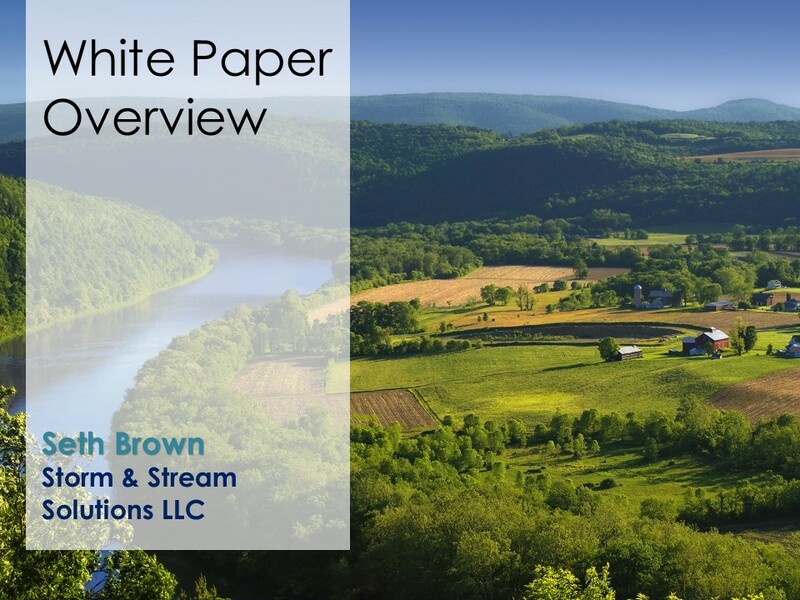 have had limited success in addressing its impacts on water quality, hydrology, and watershed health. Tomorrow's stormwater solutions will need to meet broad watershed goals, provide benefits to the local community, and be flexible in the face of a changing climate, all without a big price tag. This daunting task has stormwater managers thinking twice about how to get the most out of their infrastructure dollars. They are looking to green infrastructure techniques that provide a cost-effective, multi-benefit alternative to concrete and steel, and they are looking for creative ways to drive down costs and raise capital to install those projects. 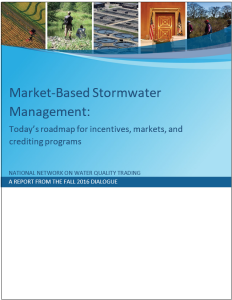 In November 2016, over 50 practitioners gathered for the National Network on Water Quality Trading's Fall Dialogue. 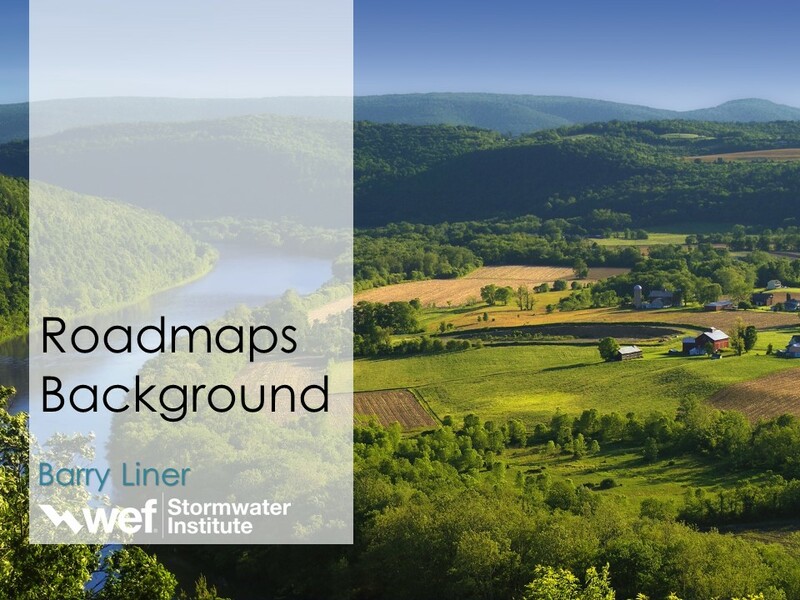 The workshop focused on how communities could leverage market forces to drive implementation and investment in green stormwater infrastructure. 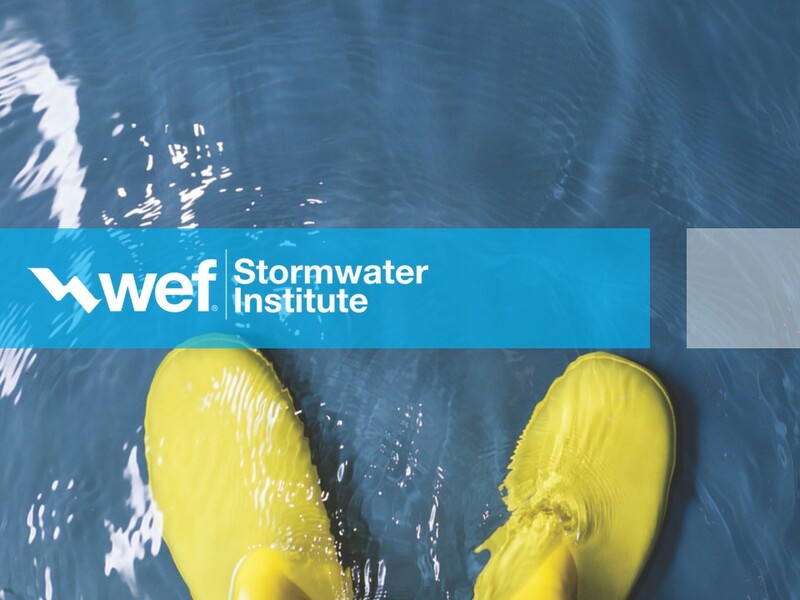 This dialogue was convened in collaboration with Paula Conolly and Mami Hara of the Green Infrastructure Leadership Exchange, Dan Vizzini of Oregon Solutions, Seth Brown of Storm and Stream Solutions LLC, and Chris French from the Water Environment Federation. The summary report provides key takeaways from the workshop discussions. It also includes reference materials such as the agenda and a list of participants. 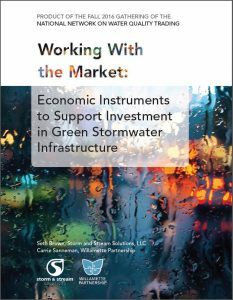 This report is designed to help communities leverage market forces for implementation and investment in green stormwater infrastructure. It is based upon discussion at the National Network 2016 fall dialogue, covering the motivations that drive investment in stormwater infrastructure; a set of program options that work with market forces for more effective and efficient investment in stormwater infrastructure; the issues that limit these approaches; and ways to get beyond these hurdles. 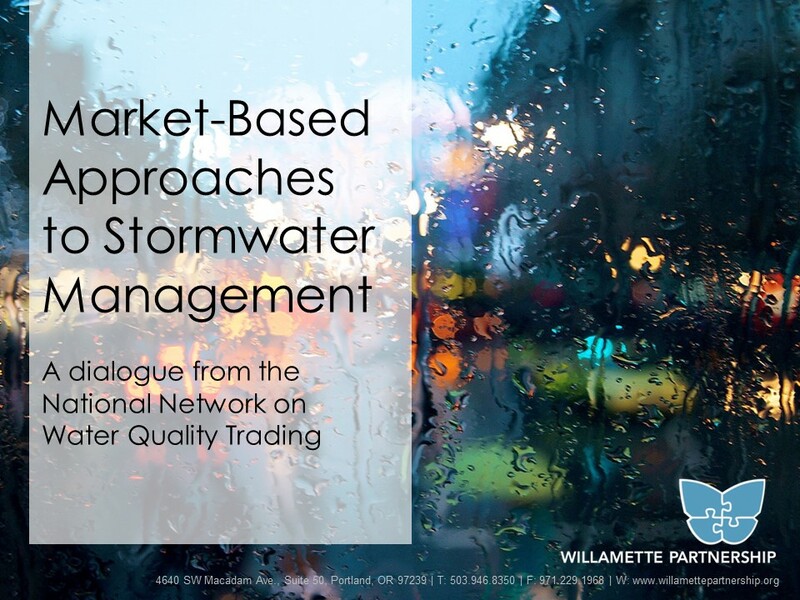 It was written by Storm & Stream Solutions LLC and Willamette Partnership, with collaboration from WEF’s Stormwater Institute. It benefited from expert review by the workshop conveners and numerous workshop participants.